Click here for rentals in the downtown Vancouver region. Experience the unbridled energy of downtown Vancouver in The Westin Bayshore, boasting unparalleled views of the mountains, the coastline, and scenic Stanley Park. Situated on Coal Harbour and just steps away from shopping, dining, entertainment, arts, and culture, there’s no shortage of captivating and invigorating things to do nearby. 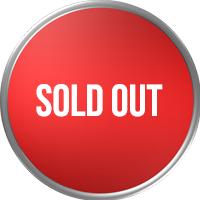 THE WESTIN BAYSHORE IS NOW SOLD OUT. The cut-off date for reservations is May 9, 2018, at 5:00 PM. Reservations requests received after this date will be based on availability at the hotel’s prevailing rates. Guests can change their arrival date to a later date up to 24 hours before the original arrival date without penalty. Coast Coal Harbour Hotel is situated right near the Vancouver Harbour, a stone’s throw from the beautiful Stanley Park. Our downtown location offers convenient access to the Gastown district, the renowned shopping on Robson Street, and the incredible array of arts and entertainment that Vancouver has to offer. Our close proximity to The Vancouver Convention Centre is ideal for our business travellers. Deposit Information: A first (1st) night’s non-refundable room and taxes is required at the time of each reservation. Hotel check-in 3 PM and check-out 12 noon.